With jagged mountain peaks rising from the mist and black, fathomless lochs spreading through the landscape, this region is amongst the most dramatic in all of Scotland. The rugged Atlantic coastline sweeps up the western side, dotted with pretty fishing villages and bustling harbours, while enchanted forests conceal a myriad of animals and birds. Our selection of the best places to stay in Argyll combine stunning views, breathtaking scenery, remote locations and warm, friendly ambience. Some are traditional, others modern. Scotland’s first national park unfolds through the territory, taking its name from Britain’s largest expanse of fresh water, Loch Lomond. Oban is the hub for anyone looking to venture to Mull, Iona, Colonsay, Barra, Coll and Tiree. Though there's not much to see in the town itself, it certainly attracts plenty of visitors. A lively place, it is host to an increasing number of good quality places to stay, excellent restaurants and pubs. Most visitors concentrate on the stunning coastline, but a drive inland will bring you to some breathtaking scenery too and some of the best places to stay in Argyll. The deep-sea lochs sweep inland, surrounded by towering hills which are just begging to be climbed. Mount Stuart is a charming house to visit - with pleasing architecture, gorgeous interiors, lovely gardens, a tearoom and plenty of interesting stories to hear about from the guides. Head off on the Argyll Adventure, suitable for all family members, and explore Scotland's West Coast on horseback. A lovely way to spend an afternoon. Puck's Glen, a magical area of woodland is a wonderfully scenic spot to hike through. Spend a few hours at Inveraray Castle, Scotland's youngest castle and the ancestral home of the Dukes of Argyll. Featuring light, airy interiors with plenty of antiques and artwork on the walls, it also boasts a gorgeous setting. This area is very pospular with visitors so to be sure of booking one of the best places to stay in Argyll then plan ahead and book early. The Manor House, Argyll is a charmingly traditional stone property offering individually designed bedrooms featuring plenty of Toile du Jouy. Tuck into cuisine made from local produce and marvel at the beautiful views. Perle Oban Hotel offers crisp, understated-chic accommodation with clean lines and splashes of colour on the walls. Plus, each room comes with its own Nespresso machine! A smart city stay. Set in a baronial house turned B&B, the five-room Greystones enjoys a superb location, overlooking Oban Bay but just a short distance from the city centre. Boasts contemporary chic rooms contrasting with the property's period features. Travel about 15 miles north and you will find some of our best places to stay in Argyll. 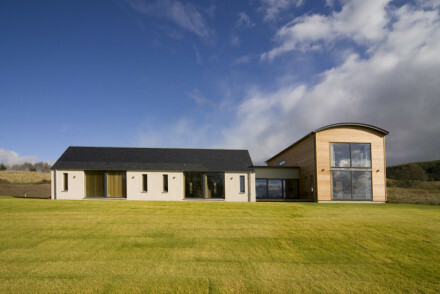 First up you'll reach Ardtorna, a contemporary, stylish B&B overlooking Loch Linnhe. The Scandinavian inspired house offers top-notch service, including cream teas, fabulous breakfasts and free malt whisky in your bedroom! 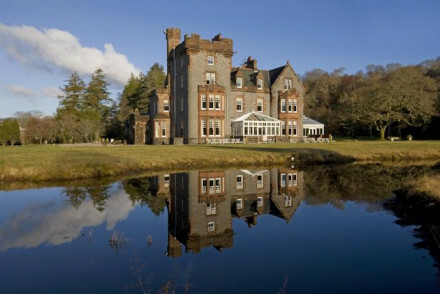 A few more miles up the road and you'll get to the Isle of Eriska Hotel. This privately owned luxury hideaway is situated on its own island and, apart from just breathtaking sea views, it also boasts a private golf course, superb spa and award-winning food (3 AA Rosette standard). Offering twelve comfortable rooms, The Pierhouse Hotel enjoys a picturesque coastal location at Port Appin's pier. You'll adore their wonderfully fresh seafood and game dishes! A friendly stay. Airds boasts a stunningly tranquil lochside setting and top-notch cuisine worthy of 3 AA Rosettes! The accommodation's cosy and comfortable, but the location and food are the real draws to this intimate spot. One of our favourite inland places to stay in Argyll is Kilcamb Lodge. Despite not being coastal, it offers traditional rooms with wonderful views of Loch Sunart as well as an award-winning restaurant. Ardanaiseig is a picturesque country home boasting luxurious interiors, great grub and views of Loch Awe. Ideal for romantic getaways. Loch Lomand Arms Hotel boasts traditional, country-style accommodation, as well as a gastropub serving up British classics. You'll adore the views of Loch Lomond! 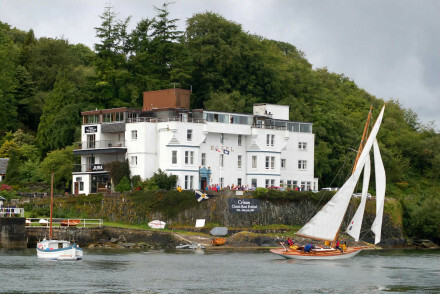 The Crinan Hotel offers wonderful vistas across the water to Jura and Scarba. With chic, individualy designed rooms and top-notch seafood, it's a splendid option. Royal An Lochan is a lovely hideaway with beautiful views over the Kyles of Bute. Whilst the rooms are fairly basic, the cuisine is simply divine and the location's not too bad either! Kilberry Inn is an intimate five room stay with superb coastal views. Featuring comfortable accommodation with splashes of colour and wonderful cooking, it's the perfect hideaway. 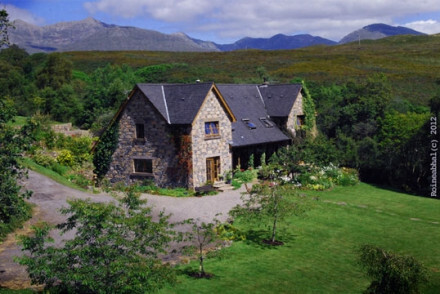 Roineabhal is an intimate three room B&B surrounded by wonderful scenery. Enjoy a hearty, typically Scottish breakfast each morning before heading off hiking or fishing. Colonsay, one of Scotland's lesser known islands, is a real gem for walkers - explore the ancient priory, woodland gardens and glorious sandy beaches. Book a room at The Colonsay for a laid back, family friendly treat. The Creggans Inn, set on the shores of Loch Fyre, is wonderfully located to spend your days fishing, hiking or diving. The rooms are smart and cost, whilst you can tuck into award-winning Scottish fare from the restaurant. You're probably best visiting in the summertime if you want to make the most of Argyll's stunning scenery. The average temperature rises to 15°C in July and August, this is also when there's the least amount of rainfall. International visitors should fly into Glasgow Airport - though be warned, it's still 100 miles or so away from Oban which takes a couple of hours by car and even longer by train or bus. Therefore, we strongly recommend hiring a car if you're visiting Argyll, with this also being the easiest way to get around exploring the area's stunning scenery. For car hire prices, we recommend you visit our online partner Rentalcars. If you're coming from elsewhere in the UK then why not take the train to Argyll? It's been rated as one of the most scenic train journeys in the world! Browse through our entire list of the best places to stay in Argyll and start to plan your visit. Alternatively, widen your search and check out our recommendations in the Highlands and Islands or throughout the rest of Scotland. 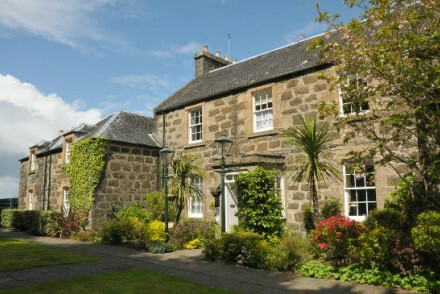 Homely and characterful, Glenmore Country House is full of charm. The atmosphere is intimate and relaxed with excellent rooms and helpful hosts. A great gateway from which to explore the abundant beauty of the Argyll peninsula. Country Escape - Set in the beautiful Argyll countryside, it's a great spot for a rural escape. Sights nearby - Pay a visit to Dunstaffnage Castle. Great walks - Walk down to nearby Loch Melfort. 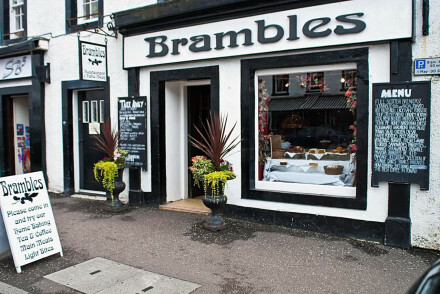 On the shores of Loch Fyne, Brambles of Inverary is a charming B&B featuring comfortable, spacious rooms and an excellent modern bistro. 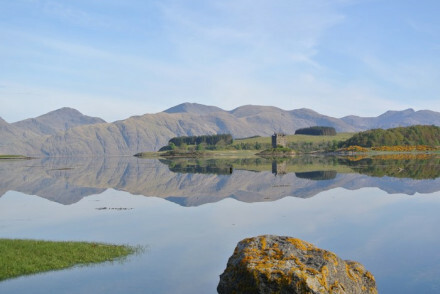 It's a great base for those looking to explore the charms of Argyll. Local exploring - A great base from which to explore Inveraray and the area surrounding Loch Fyne. Great walks - The surrounding area is made for walking. Sights nearby - Visit the magnificent Inveraray Castle. 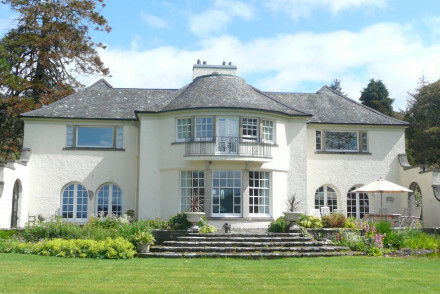 This luxury bed and breakfast is set in Glens of West Argyll. Tastefully decorated and comfortable rooms have dashes of tartan reflecting the locality. The surrounding area is ideal for hiking and fishing. The breakfast is hearty Scottish fare. One of the best ways to experience Scotland. 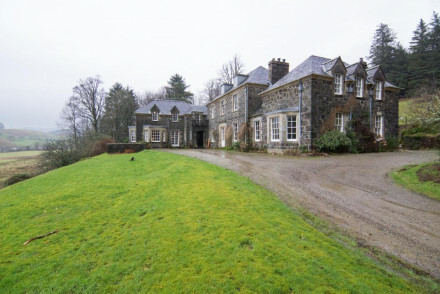 The rural Victorian Knockderry House is situated on the banks of Loch Long. This 4*, 2 Rosette Hotel offers a range of smart accommodation with the Master Rooms (featuring four poster beds) especially elegant. Food is divine, made using local produce. Plus a cosy drawing room. A romantic retreat. 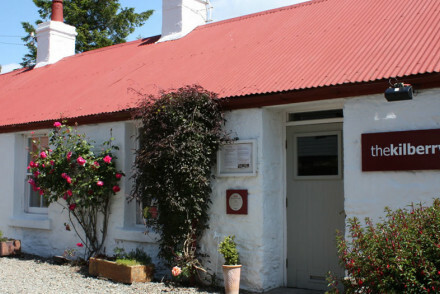 Quiet and calming, Ceo Mara Croft is a delightful B&B a few miles outside Taynuilt. Offering two lovely rooms and fabulous views that look out over Loch Etive and Ben Cruachan. The guest house is perfect for those looking to unlock the wilderness of Argyll. Back to Nature - Overlooking the rugged Argyll landscape, Ceo Mara is a great place for getting back to nature. Great walks - Walk down to the nearby beach and along the lovely sea loch. Sights nearby - Visit nearby Dunstaffnage Castle. Stylish and chic are probably not two words that many associate with rural Argyll but the Kilchrenan Inn defies that preconception. With an excellent restaurant and three sleek rooms, it's a great base for those looking for some modern comforts in the wilds of Argyll. Sights nearby - Pay a visit to Inveraray Castle. 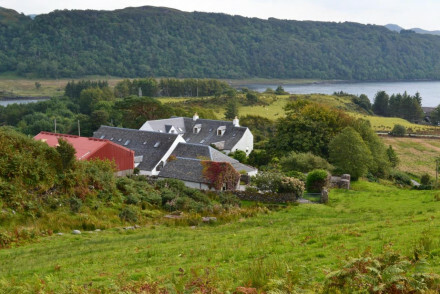 Full of character and charm, Oban Seil Farm pulls no punches with its name, it is genuinely a farm. Your never too far from the sea or sheep at this delightful guesthouse that offers both self-contained cottages as well as B&B rooms. A true Argyll experience. Great walks - The surrounding landscape is perfect for people who love walking. Fishing - Fishing trips out to sea can be organised by the hotel. Sights nearby - Take a day trip to the Kilmartin Standing Stones. 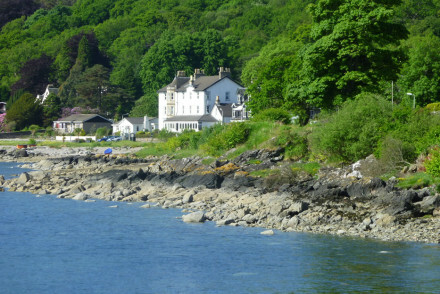 A hideaway hotel, with great seafood and heavenly views over the Kyles of Bute. Out of the way in an enchanting setting. Birdwatching - See a huge variety of land and sea birds. Views - Over the Kyles of Bute. Comfortable rooms, glorious views of beautiful Loch Lomond, excellent locally-sourced gastropub food and friendly service on the Luss Estate. A small contemporary guesthouse in a stunning rural location. Spacious rooms are light and airy with soft hues, floor to ceiling windows and private terraces. An award winning restaurant serves modern Scottish dishes. With a host of outdoor pursuits available this is the perfect country escape. 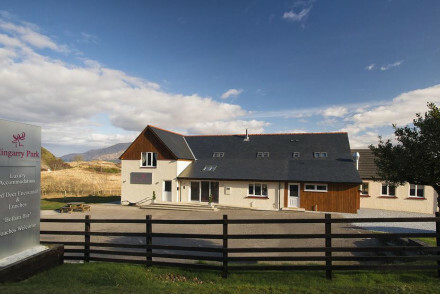 Country Escape - Boasting a fabulous location in West Scotland surrounded by glorious walking country. Great walks - Explore some of the picturesque walking trails starting straight from the property. Fishing - The hotel offers full day guided brown trout fishing on the hill loch. 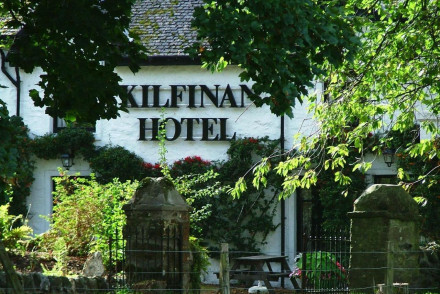 Charming and characterful, the Kilfinan Hotel is superb for both service and location. The rooms exude a authentic feel that reflects the heritage of the place and downstairs is a superb restaurant and the atmospheric bar is a great place to enjoy a dram or two. A tranquil spot. Sailing - The nearby coastline is a great place for sailing. Sights nearby - Visit the nearby Benmore Botanic Garden. Set amongst rural pasture in coastal Argyll, Melfort House overlooks the islands of Scarba and Jura. Offers three elegant and smart rooms featuring warm hues, silk fabrics and large beds. Come back after a long day and relax in the drawing room by the fire with a good book! Homely and rejuvenating. 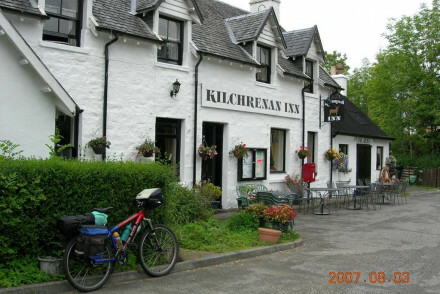 An historic country inn on the shores of Loch Fyne, with views to Inveraray and the Kintyre mountains. Award-winning Scottish cuisine, delightfully cosy bedrooms and one suite, and a beautiful landscape for fishing, walking, diving, and whisky tasting. A gourmet spot in a breathtaking setting. Foodies - Excellent Scottish cuisine using the feshest local produce; award-winning 2 AA Rosette Loch Fyne Dining Room. Views - Stunning views of the Kintyre mountains and Loch Fyne. Active Holiday - Plenty of outdoor sports within the surrounding area. Back to Nature - Ideal for nature lovers and those who love the great outdoors. 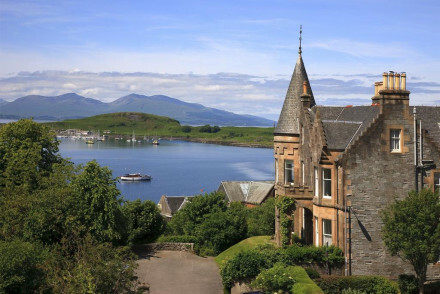 Charming listed property with stunning views over Oban bay. Eleven cosy, individually designed bedrooms, traditional in style with pretty Toile de Jouy wallpaper and fabrics. The restaurant offers a daily changing menu showcasing the best of local ingredients. Great for exploring the West coast. 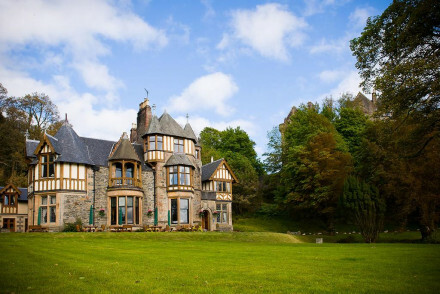 Grand baronial house turned boutique B&B in the heart of Oban. Five spacious rooms with contemporary interiors and large modern bathrooms. Minimalist feel is complemented with plenty of period features. 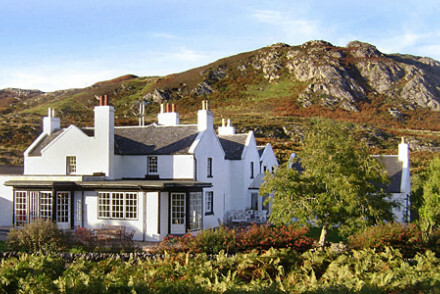 An intimate, romantic base for exploring Scotland's west coast, with stunning views. Great walks - There are lots of lovely walks in the surrounding area. 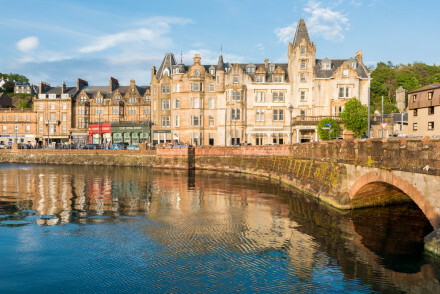 A welcome luxury addition to Oban's hotel scene! The recently opened Perle Oban enjoys an enviable harbour-front location and boasts chic rooms and suites with luxury accessories including Nespresso machines for all! The restaurant champions local seafood and steaks. A smart stay on the West Coast. Local exploring - A chic base for anyone wanting to explore Scotland's West Coast. Great walks - There are endless paths to be explored from short strolls to day-long hikes. Traditional hospitality and accommodation in a fantastic location. 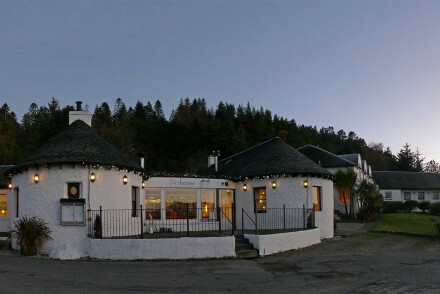 The Crinan offers cheerful service with a bar and restaurant serving the freshest of seafood. Outstanding views to Jura and Scarba plus the Crinan Canal on your doorstep. Perfect for outdoorsy types or yachties. 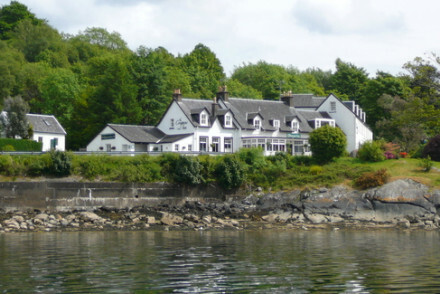 Charming country hotel with a serene setting on the shores of Loch Sunart. 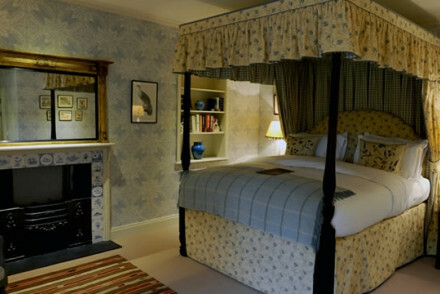 Traditional rooms feature large windows with chintz and tartan fabrics and stunning views. An award winning restaurant uses local produce. Cosy living rooms for post outdoor unwinding. A true country getaway. Active Holiday - With hearty meals and warm fires this is the perfect spot for those taking advantage of West Scotland's outdoor pursuits. Back to Nature - A stunning country-house in magical surrounds with Loch Sunart at the end of the garden and Glas Bheinn rising beyond. Fishing - The season runs from 1st June to the 30th September and Salmon, Sea-Trout and Brown Trout can be caught. Great walks - Simply step out the door and find miles of rugged Scottish countryside awaiting. Originally the pier master's house, The Pierhouse hotel now offers twelve comfy bedrooms in the most outstanding west coast location. The vibe is friendly and laid back, but the real star of the show is the food - the freshest seafood and game imaginable! Perfect for foodies & outdoor active types. Outstanding location - Appin lies at the heart of the Lynn of Lorn National Scenic Area. 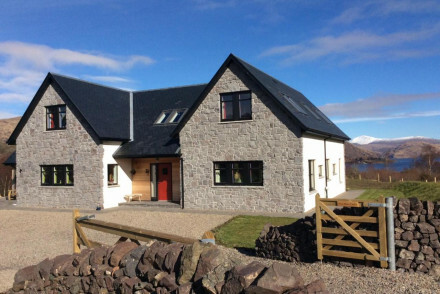 A top-notch contemporary bed & breakfast on the Oban coast, with splendid views of the sea. Golf and pool nearby. Views - Fantastic views of lochs and mountains. With stunning coastal vistas this property is a detour worth taking. Rooms are bright in modern colours with floral patterns. Breakfast and dinner are included and with Clare Johnson's cooking, winning her local fame, you are sure not to tire of the freshly, locally sourced menu. A perfect escape! Birdwatching - An abundance of birdlife as well as otters, porpoises and much more can be seen from nearby the property. Hideaway - This property is truly remote. With limited phone and internet connectivity it is true escapism. Great walks - There are an abundance of walks from Ormsary, Torinturk and Loch Awe to name but a few. Back to Nature - This property has some of the most unspoilt and striking landscape in the country. Active Holiday - Enjoy horse riding, mountain biking, great walking, climbing and more. An idiosyncratic and loveable private island resort and spa just off the western coast of Scotland. Antiques mix with contemporary interiors in this peaceful haven. 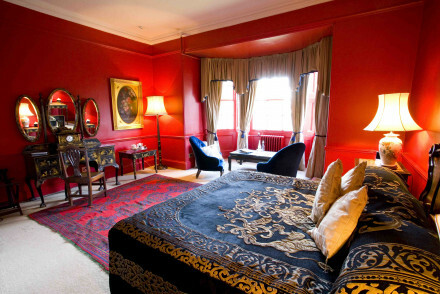 Think cosy living rooms with roaring fires, Michelin star restaurant, luxurious suites and pampering spa. A remarkable rural retreat. Foodies - Foodies will love the eight course tasting menu at the Michelin starred restaurant, featuring local game and fish. Active Holiday - Make the most of the stunning location and indulge in fishing, sailing, rambling, canoeing, biking and golf. Sailing - Hire a luxury yacht for the day, the perfect way to explore the coast without getting your boots muddy! 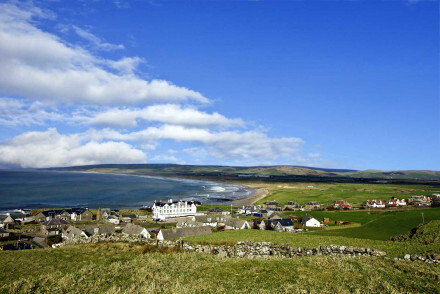 Great walks - Stroll round the island or climb one of the easily reached local munroes.